I'm in the process of pulling together some ideas for my first big article around the new topic areas. I'm going to start with “how to sell your quilts” with a particular emphasis on why you need to create a story and price HIGHER. I know it sounds a little bit crazy, but if you want to succeed, you really need to work on the high end of the market (or at least the mid-high end). I am in the process of changing my email delivery methods. From now on, I'm going to be sending out an email when I post to the blog. This will make it easier to not only keep in touch with the Quilting Business community in a more organized fashion, but will also make sure all of the content is archived on the blog. 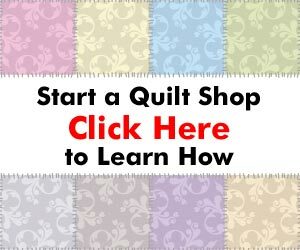 But, since I'm switching the methods, you may receive duplicate emails from me if you signed up to the Quilting Business email list over the past two months. I'll eventually remove the 35 or so people from the older blog list, but I wanted to apologize up front for duplicate emails. 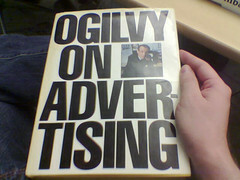 Seth's blog is a must-read for me, and mostly to open my mind up to new ideas about marketing and business in the Internet age. So, watch for a much longer post this weekend about selling your quilts and creating a quilting business that you will be able to sustain no matter what the economic climate. I’m a big fan of Seth Godin, he has really great business advice. This would apply to a quilting business, a long arm machine service, quilt shop or even an etsy shop.